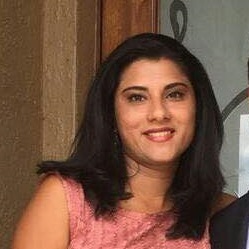 Arathi Rajagopalan, co-founder of Across Borders Management Consulting Group, was enjoying a successful career as a Fortune 500 project manager when she came to the realization that she could improve upon the manner in which IT projects could be delivered. "Entrepreneurship comes when you have the feeling that you have something better to offer," she said. "I saw how solutions were being provided and how projects were being mismanaged. As a result, I started the company with my husband to deliver on-time solutions for the agreed upon cost. Too many projects are over-time and over-budget. We thought we could deliver better solutions on time and on budget. Launched in 2011, Across Borders Management Consulting Group, provides IT services and solutions for small to medium sized businesses focusing on business intelligence, process management and application modernization. The company has grown substantially to 30 employees in 2016. Along the way, it has won awards such as the Orlando Business Journal's Fast 50, the Inc. 5000 fastest growing companies award and GrowFL's Florida Company To Watch award in 2014. "Focusing on our core competencies is a significant factor contributing to our strong growth," Rajagopalan said. "There is a large market here for our core competencies because many companies are moving to modernize their IT infrastructure. The area we are in has helped us grow in conjunction with the technical acumen we have in our company." Rajagopalan's advice for aspiring entrepreneurs follows what she has done herself, which is focus. "Focus on your core competencies despite the shiny object that are always available," she said. "At the same time, do what is right for you because there are always naysayers. trust your vision and execute on it."